How appropriate! 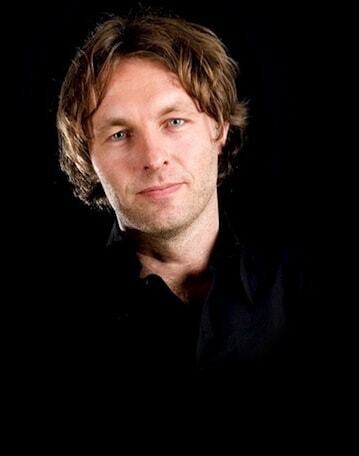 Toepas Creations 'applicate creations' are literally creative applications of recycled materials. A bouquet of flowers on the table is doing well everywhere. Especially if not only the bouquet but also the vase an eye-catcher. And that is this vase Proost a.k.a. Cheers by Toepas Creations from Amersfoort in the Netherlands, for sure! 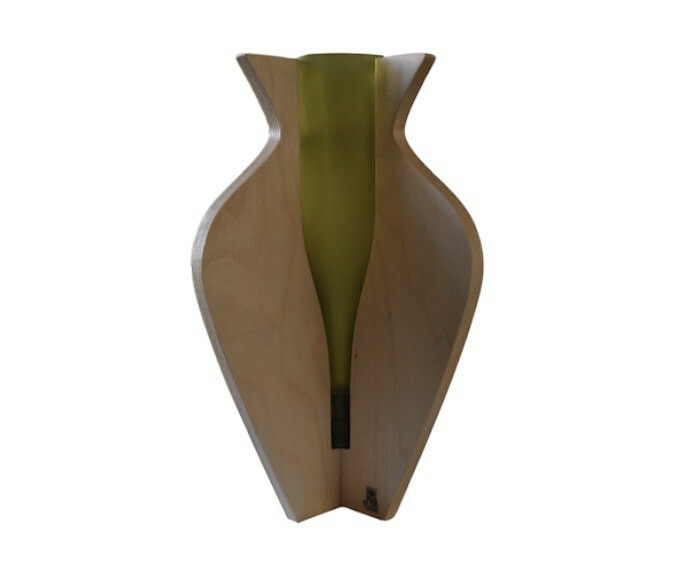 This vase is tailor-made of engraved birch plywood sheets and a recycled sandblasted wine bottle. Hence the name, Cheers! This unique Cheers vase comes in two models, one with a wide belly, one with a wide chest. 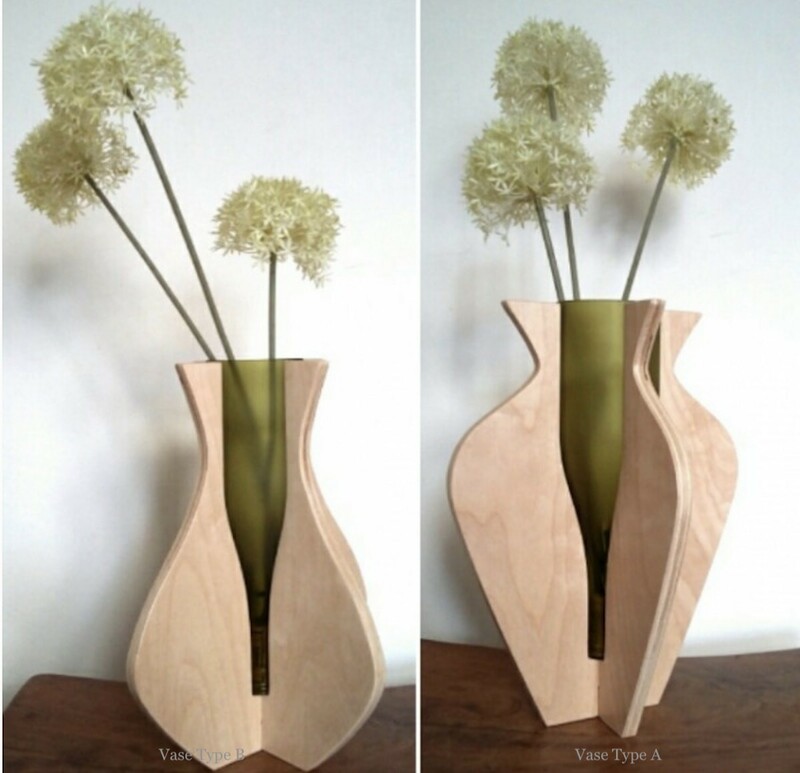 The vases are made of 2 parts Birch plywood and a processed wine bottle, which is also the source of inspiration for the vase’s name. The bottle is stripped from the bottom and sand-blasted. After processing the cork is placed back, making a waterproof chalice. 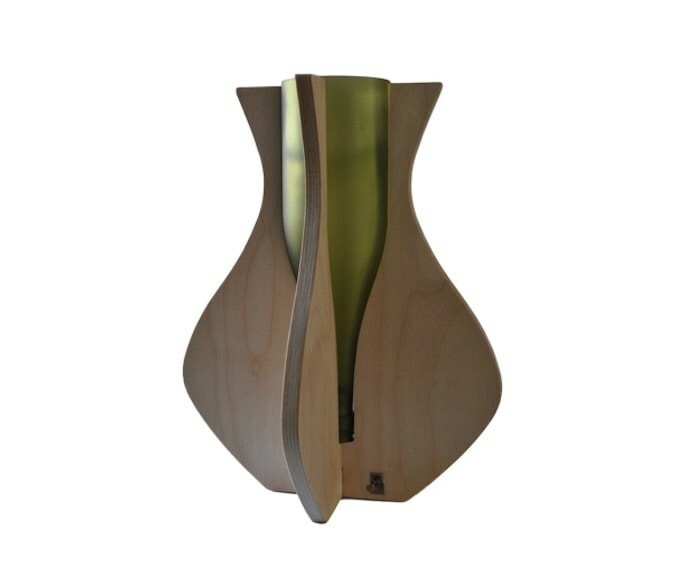 Only recycled bottles are used of which the shape is milled in the wood using a CNC milling machine. When all parts are ready, the wooden parts are assembled through a cross connection in which the bottle placed upside down. With a great vase as result. Studied Design, Styling and Creative Techniques at the Nimeto Institute in Utrecht. Even before her study Jolanda experimented with product design and development from recycled materials: she created earrings out of colorful voltage cables and painted used bottles. Using her endless stream of ideas, she never ceased creating during and after her study with a focus on the use of residual material and waste. All her design items are branded “Toepas” which refers to the fact that they are all utensils. 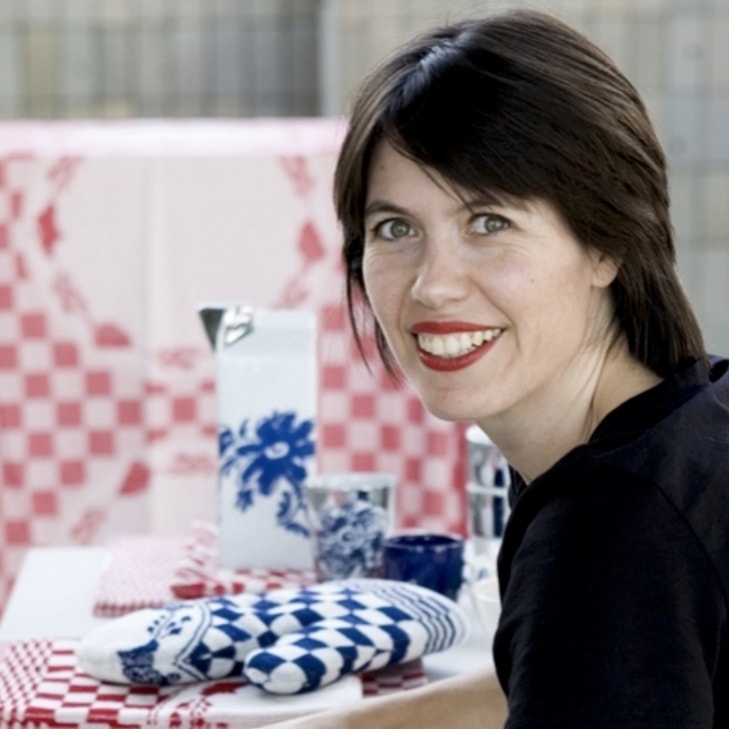 Jolanda is perfectly happy when she is able to discover, create and manufacture. 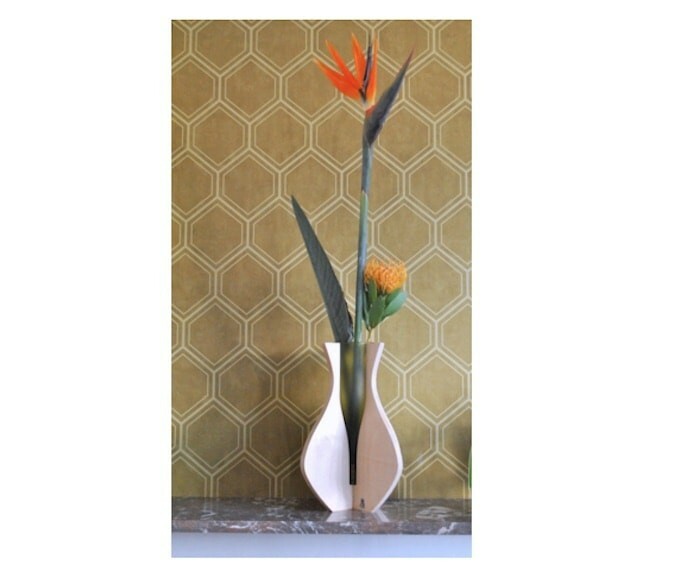 The idea for the Cheers Vase is an offspring from other product concepts that designer Jolanda ter Hoeven already had developed using recycled wine bottles. Such as the Bottlelight, a glass lantern made of the wine bottleneck and Bottle sleeve – a decorated sleeve made of recycled advertising banners to turn a wine bottle into a vase.